Improvization in rock music is not an easy thing to do well. Making records has become a serious art business over the years. Careful songwriting, big concepts, thoughtful producers, long practicing, multi-tracks and overdubbing are as important as an electric guitar in rock music. In fact, one could say that the record making process has become a high art, developing in parallel together with the development of rock music. What happens when a performer comes in to wipe that all away? The year of 2015 will perhaps be remembered as a year in which several important albums developed in a completely opposite way than what a book of rock would prescribe. I don’t know for sure, but I bet Brad Truax, Kid Millions, Barry London, Matt Sweeney together with the help of Jesper Eklow of Endless Boogie wanted a more exciting approach to rock’n'roll when they decided to form Soldiers of Fortune, an ad-hoc improvisational anti-band that has been recording their album called Early Risers over the years, following a concept very similar to the one used by Endless Boogie, only with shorter tunes. Their attitude is hopelessly anti. They don’t want to promote, replay or revisit anything on Early Risers. In the end, the listener gets a uniquely formed diamond that should find a place in any respectable record collection. Rock improvisation hasn’t started with Endless Boogie though. Their fellow New Yorkers, Suicide, employed this type of songwriting since their inception in the late sixties. Kim Fowley, wrote some of his songs in a stream of consciousness fashion since day one. Ben Vaughn had separate albums with Alan Vega and Kim Fowley in the nineties bringing their approach to songwriting to new levels of greatness with the Cubist Blues and King of Saturday Night projects. Kim Fowley met with Detroit musicians in 1997 and made his legendary Michigan Babylon album. The band had a great time and they reunited in 2012 for two more shows. They also congregated to the studio and had another recording session that resulted in an album called Detriot Invasion that came out this year. It is entirely improvised and it’s incredible how the band and Kim managed to capture an incredibly coherent madness out of the whole deal. The record is not just a great improvisational rock record, it’s also a struggle with death. 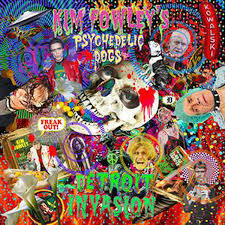 Kim Fowley had a surgery in 2012 and went to Detroit one day after he was discharged from the hospital. He passed away this year in February and the rest of the band helped to put this record out only two months after the sad event. Koja from Belgrade’s band Disciplin A Kitchme (also known as Disciplina Kičme) has been writing simple rock songs with seemingly endless arsenal of improvised riffs for years. His lyrics are usually one short observation or an impression that often repeats until the song is over. The rest of the tune is his heavy bass riffage, one or two drum sets and horns that are added with a great deal of improvisation and feel for rocking. 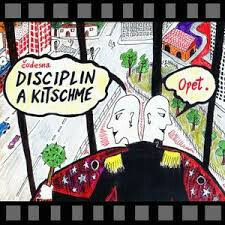 This year he is back with a new record called Opet. The new addition to the sound is Igor Đeke from Harp Explosion who not only perfectly fits Koja’s vision, he also successfully emulates famous horn passages of the 80s Disciplina, courtesy of legendary trumpet player Zerkman. So it’s new and old at the same time. Certainly, that sort of sound is more than welcome in the new line up. 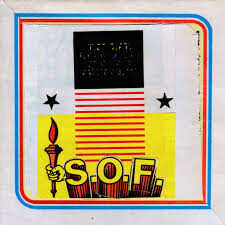 Difference between Koja’s results and what we heard this year on Fowley’s and SOF albums is that Koja would come back to his improvised tunes on his live shows. His other project called Fank+Lastiš has an even freer form. Still boogie, jams and good quality stream of consciousness unexpectedly, but clearly marked great albums of 2015.